In recent times, the need/reason to study abroad cannot be over-emphasized. This leads us to the search to select the best possible study destination/course that suits our future career aims and ambitions. 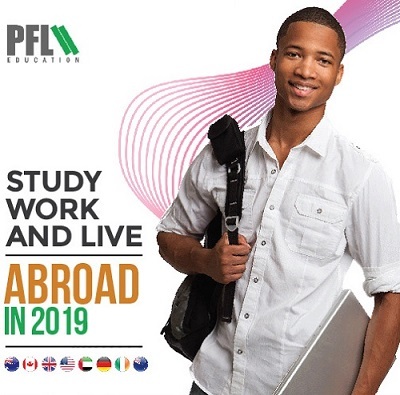 At PFL Education, we take all the responsibility to find you the most suitable options to help you achieve your dreams of studying abroad. For over 20 years, we have been placing students in top institutions in Australia, Canada, UK, USA, UAE, Ireland, Germany and New Zealand. 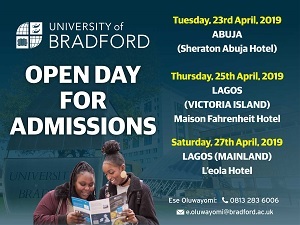 You can apply for the early intakes in 2019 to enrol in your preferred study destination; with high visa success rate, be rest assured you will have the best and trusted counselors to assist you from securing admissions to getting your study visa. Hi, pls how can i get admision & work oversees, to enable me sponsor myself? How can i study to obtain master degree and doctorate Degree in education abroad and work.